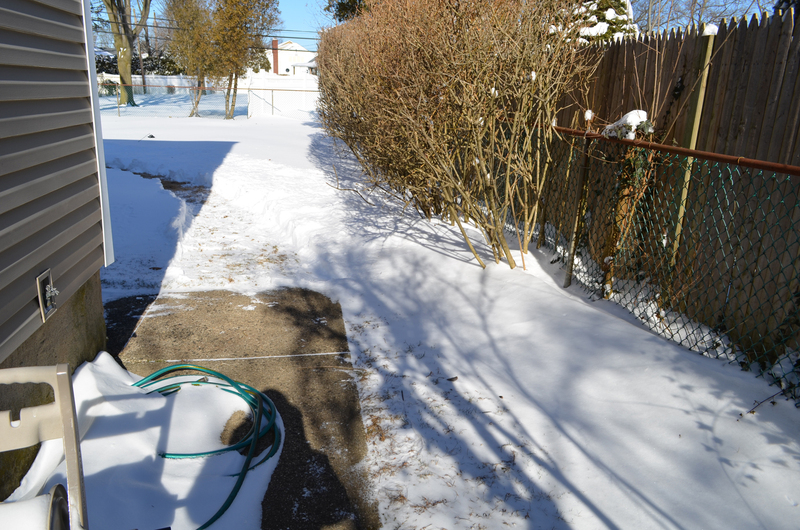 I said in my previous snow-related post that I expected more snow this season, and if there was another big storm, I’d have pictures to share. 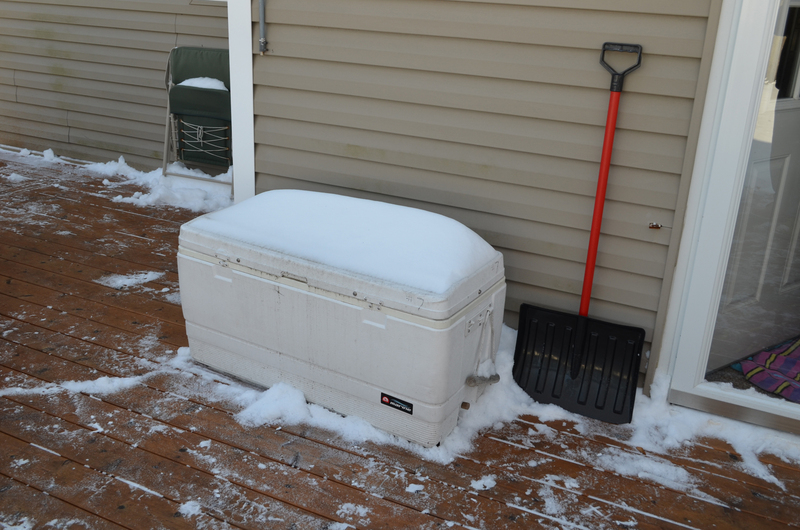 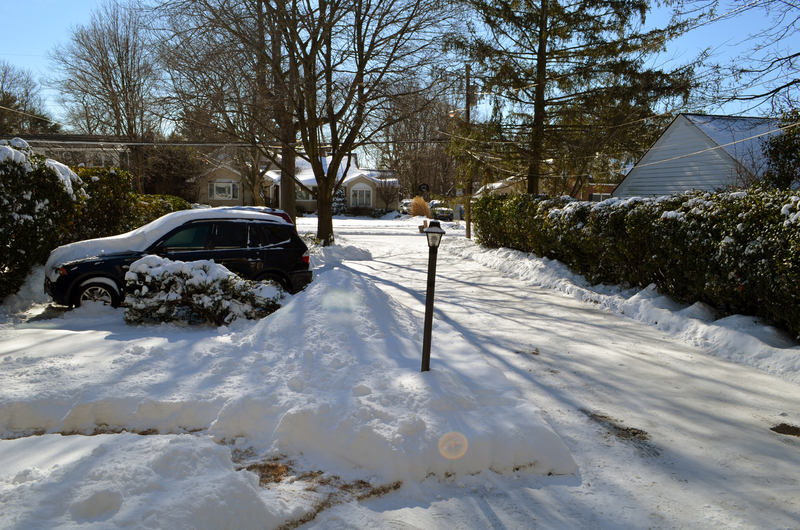 It only took ten days from that post, nearly three weeks since the blizzard, for that to happen. 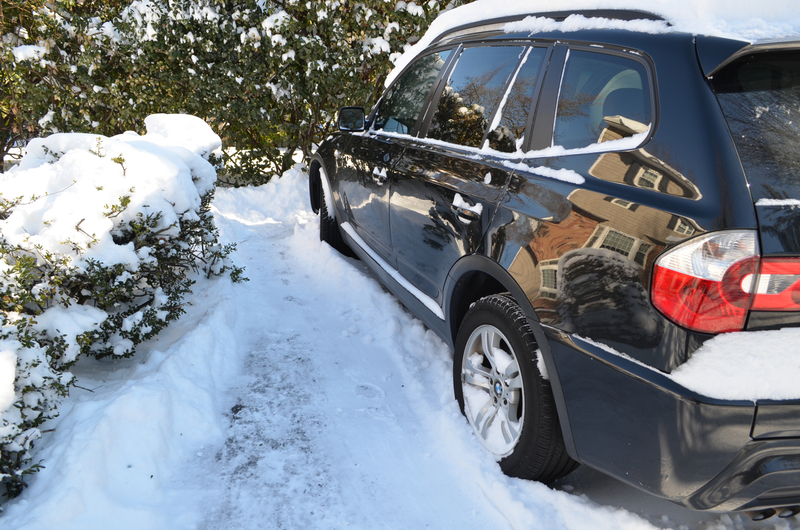 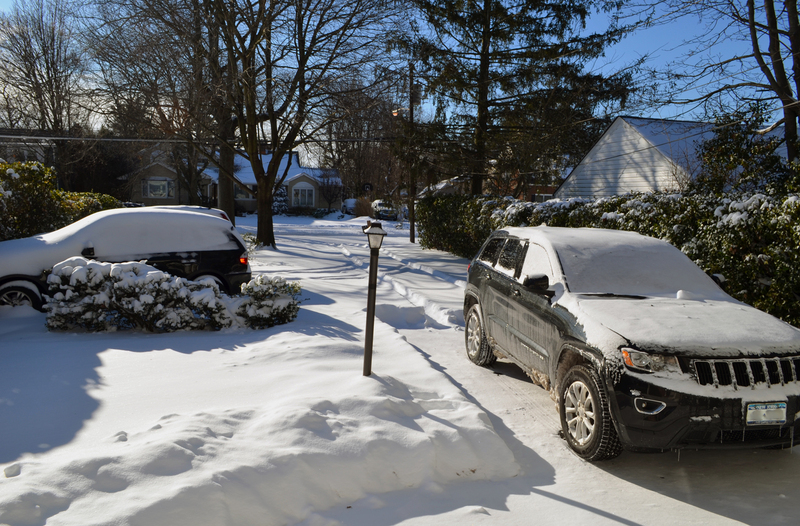 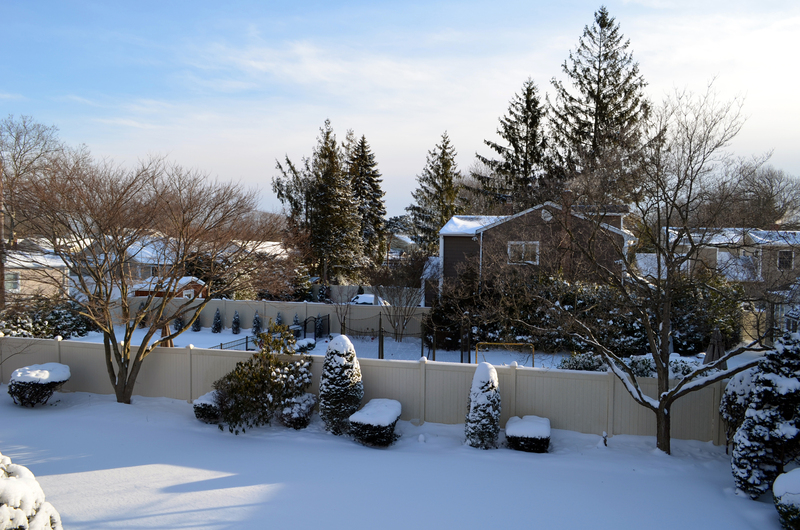 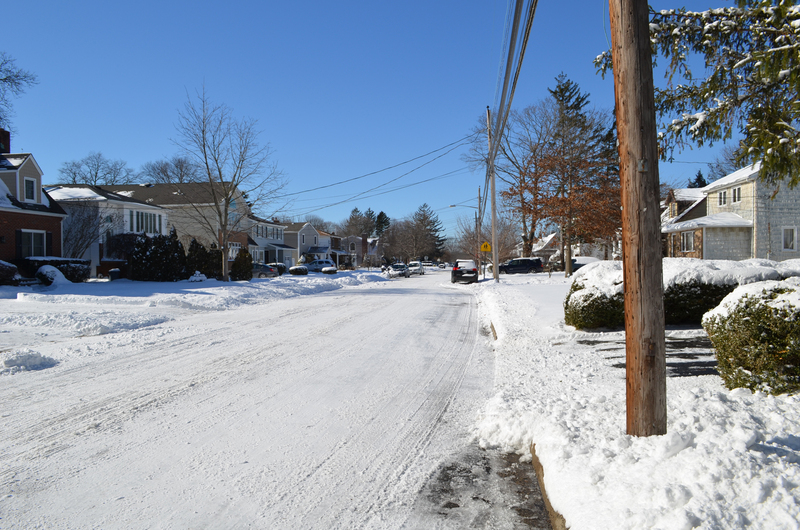 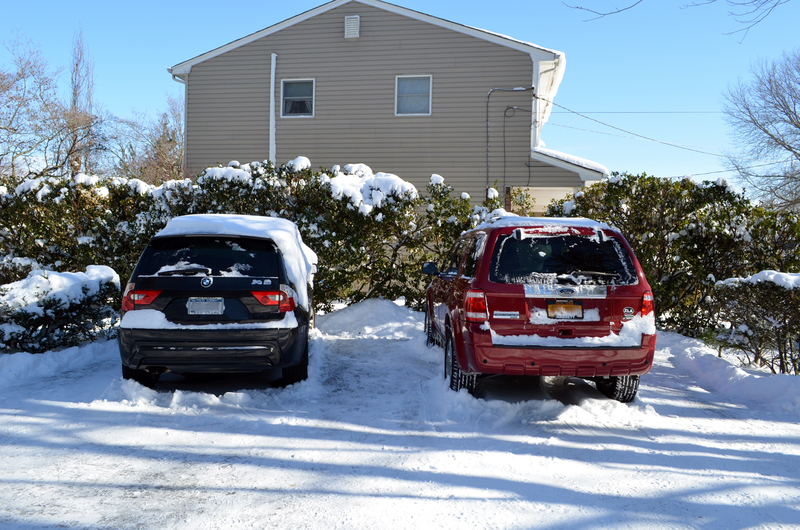 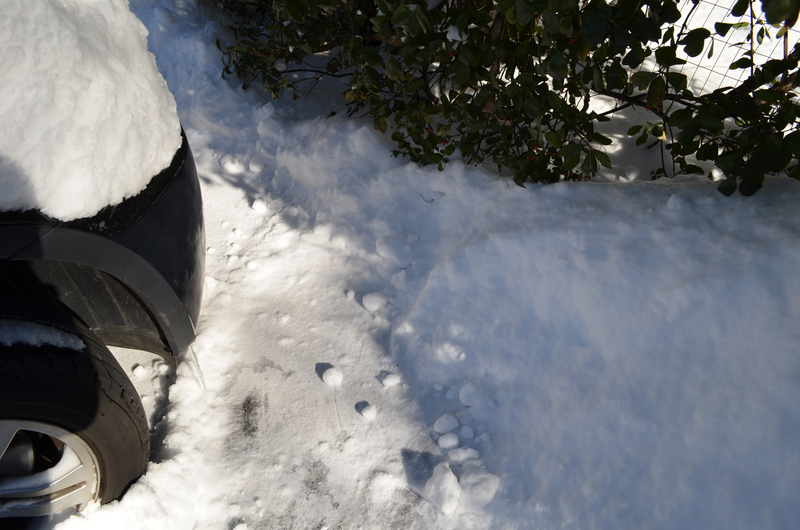 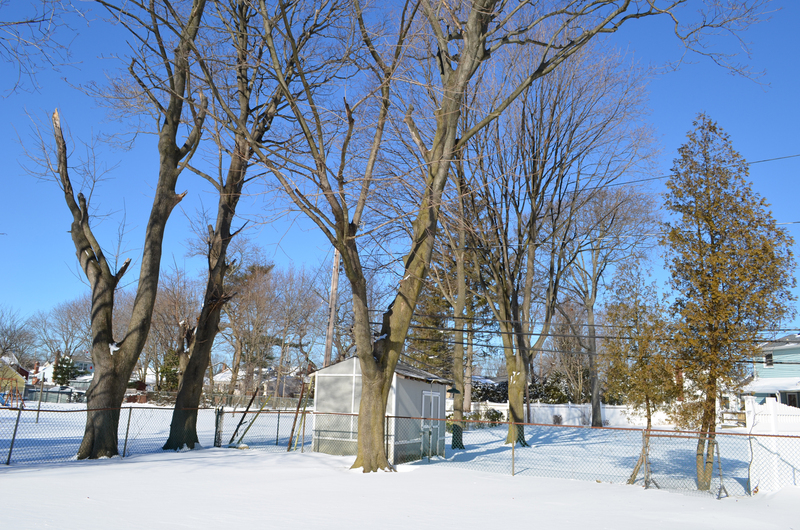 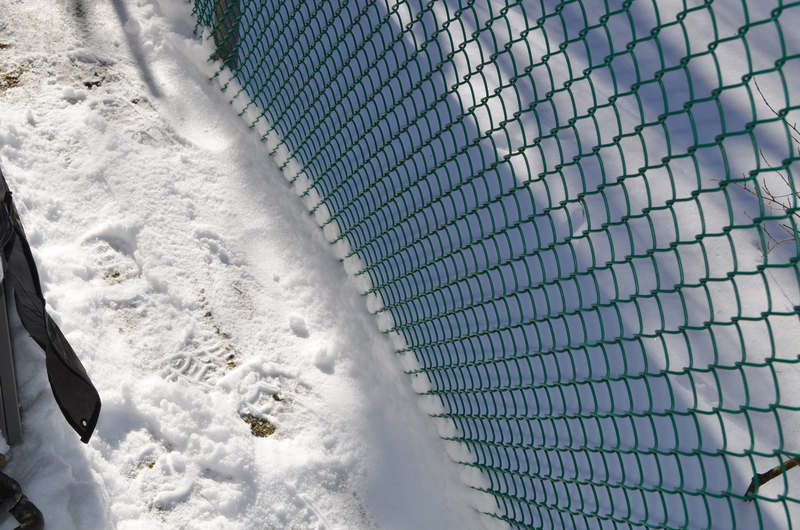 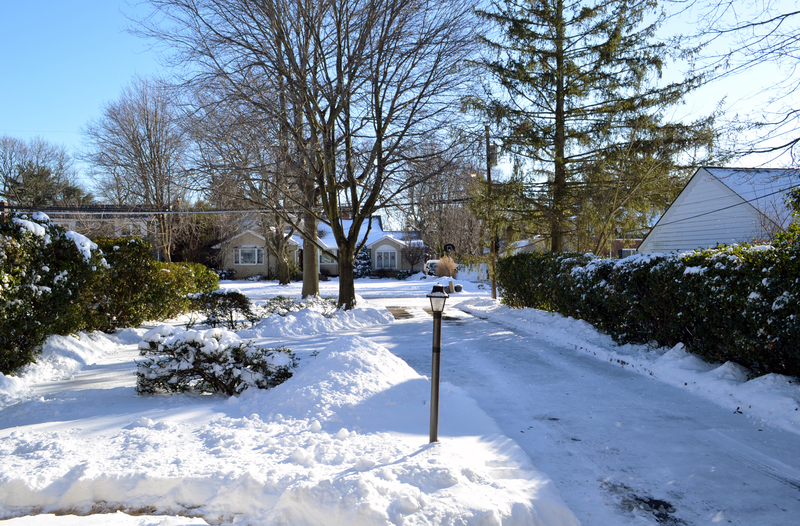 I was not expecting a snowstorm anytime soon, but the specter of such a storm was dropped into my lap on the morning of Monday, January 20, when I saw that a winter storm watch had been issued for Long Island. 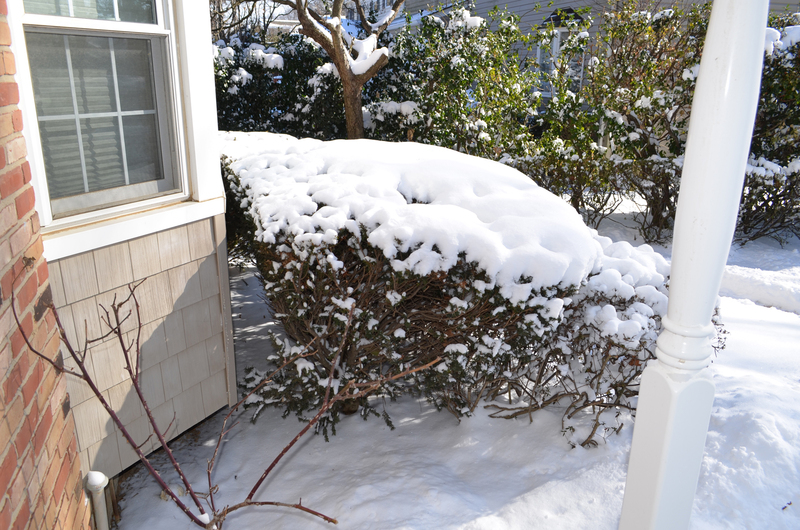 Four to eight inches of snow was expected. 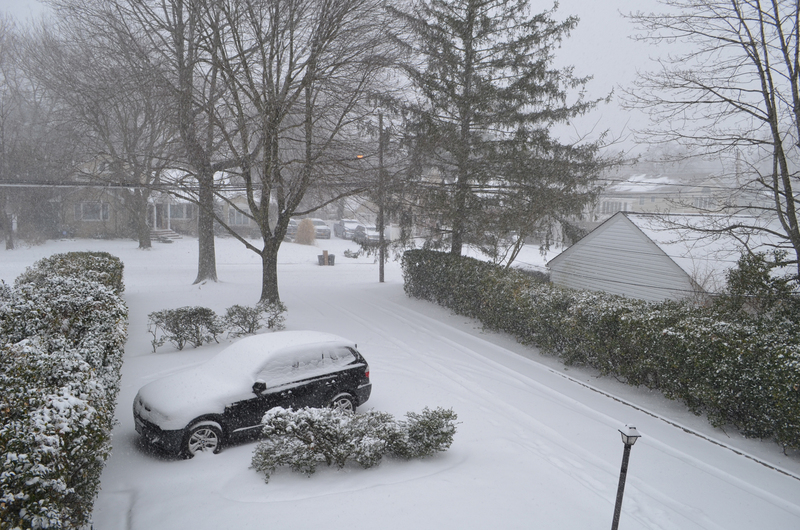 By mid-afternoon, that was upgraded to a winter storm warning and the snowfall amount prediction increased to six to ten inches. 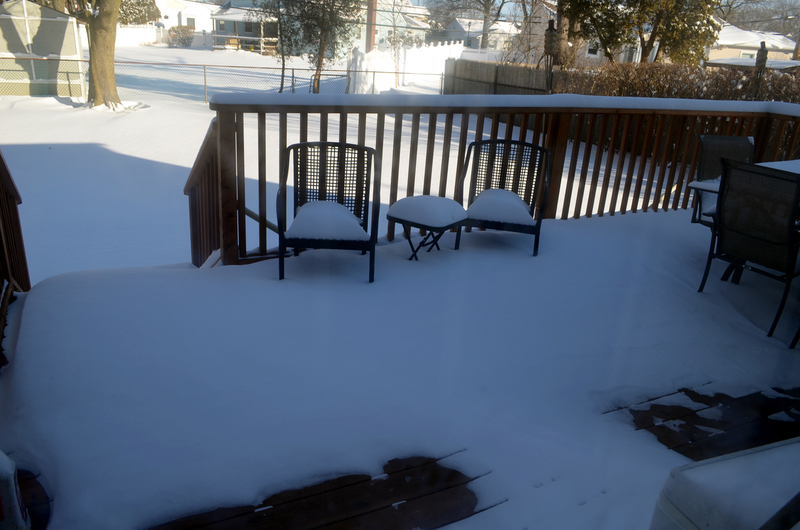 By evening, it went up again to eight to twelve inches (one foot). 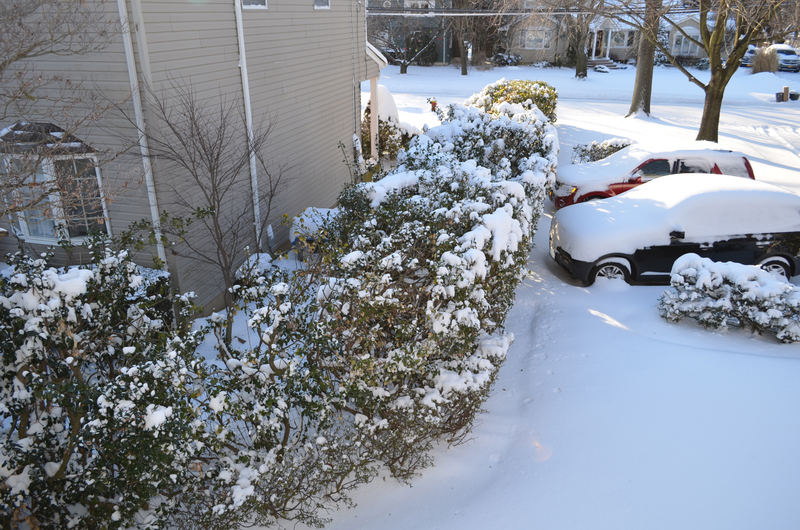 Then, I vowed not to check the weather again until the following morning. 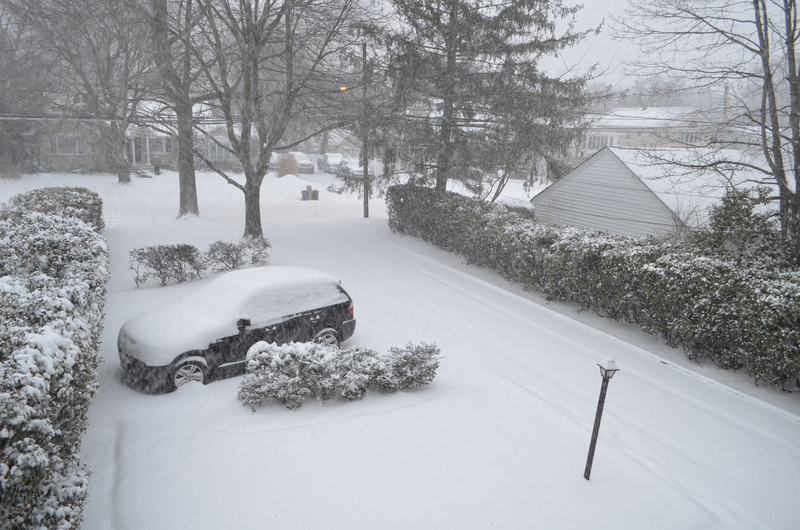 I checked and the amount prediction grew a third time: ten to fourteen inches. 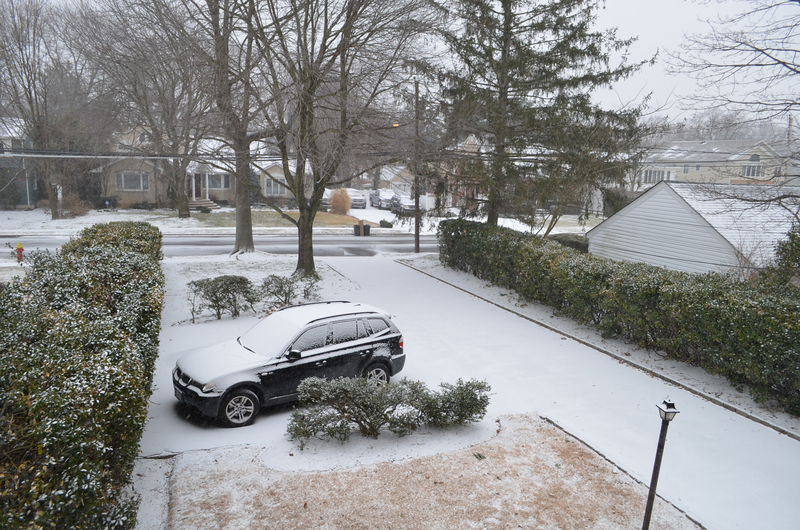 On top of that, the snow started earlier than expected. 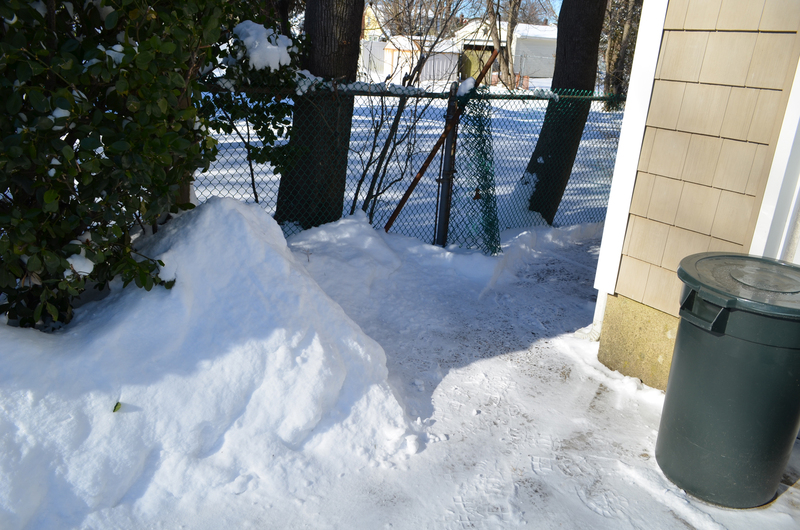 This meant I would have a very busy Wednesday shoveling all that snow up. 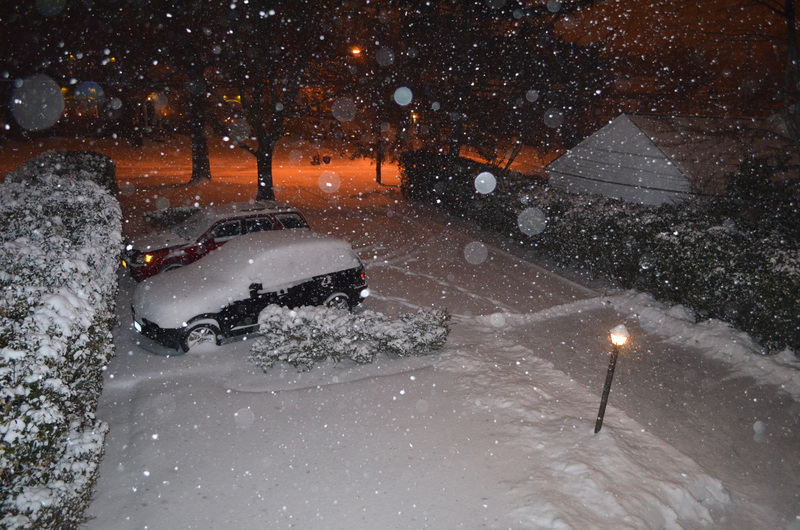 The difference between this snowstorm (winter storm) and the blizzard at the beginning of January is weaker wind. 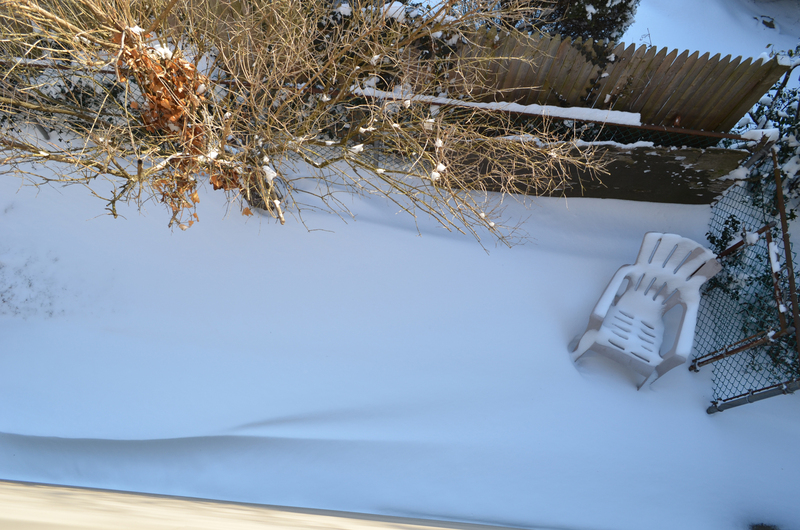 It was still gusty, but not as strong as with the blizzard. 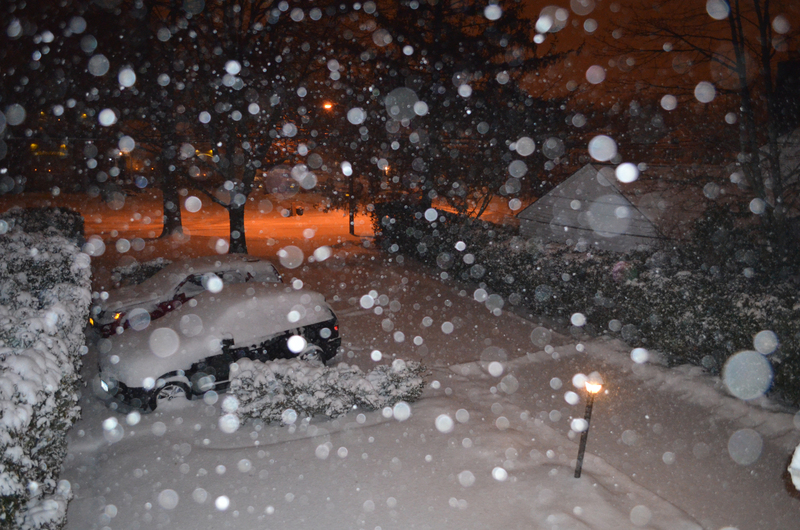 My sister took these pictures from the front porch. 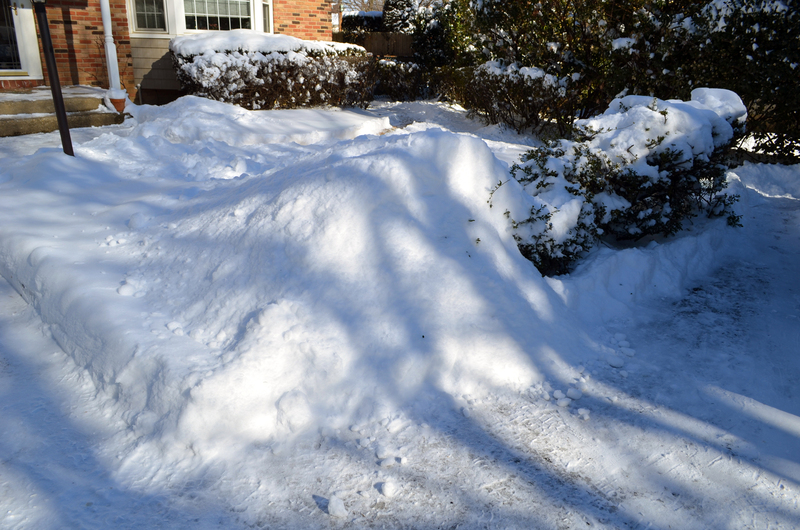 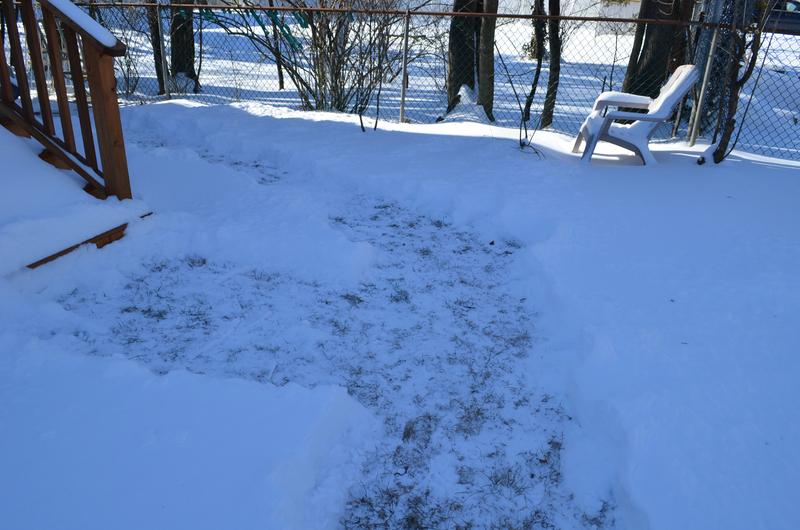 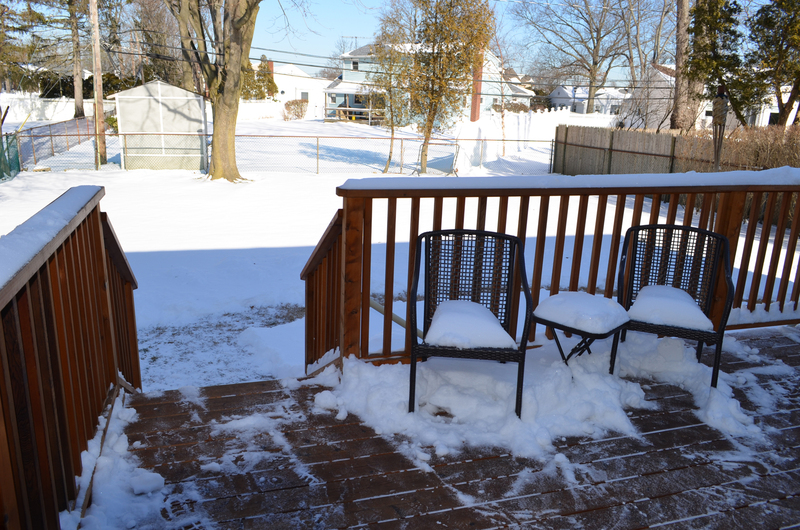 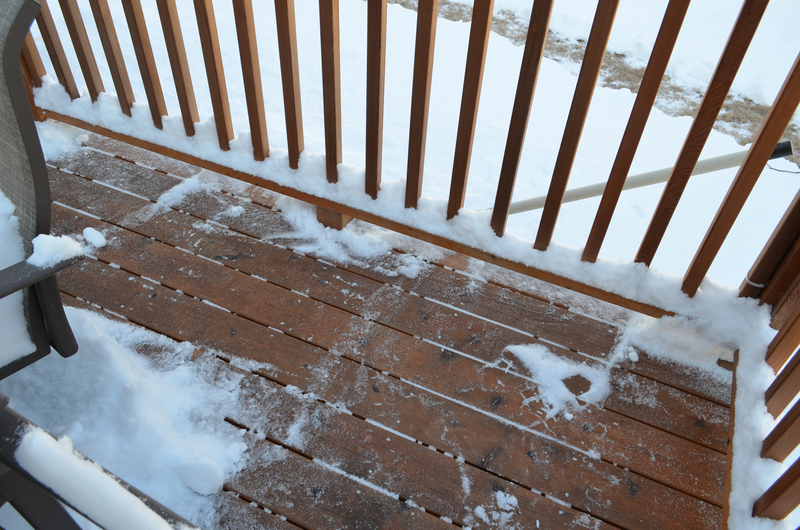 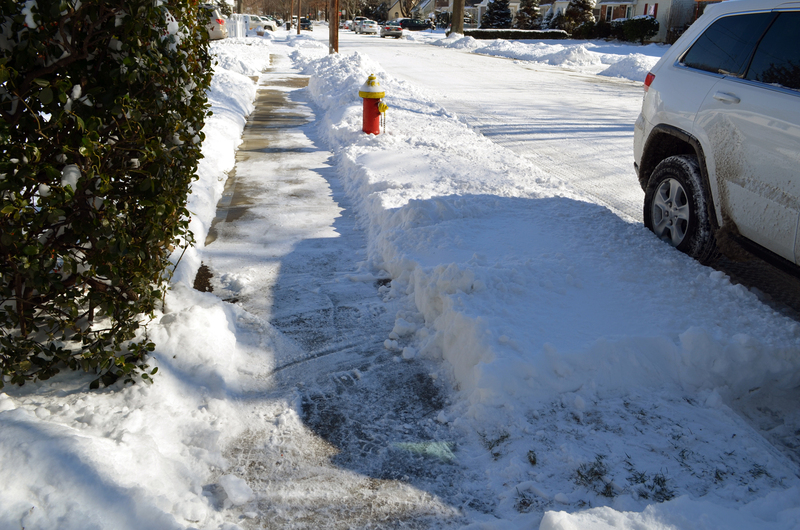 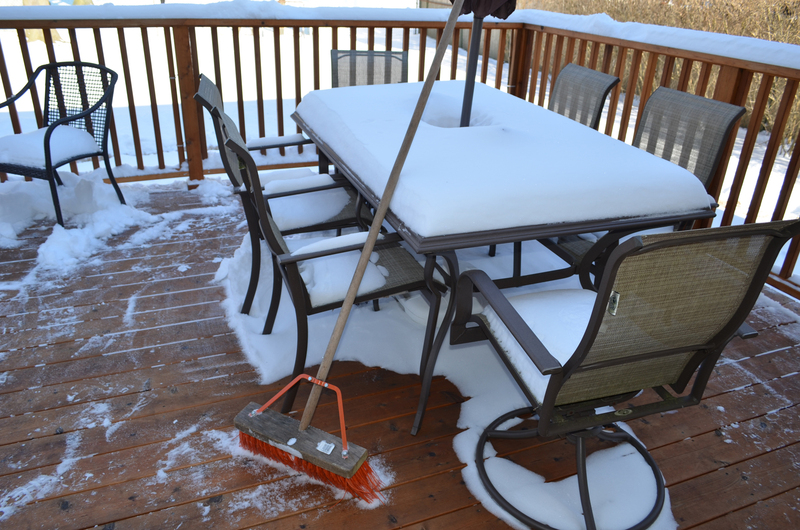 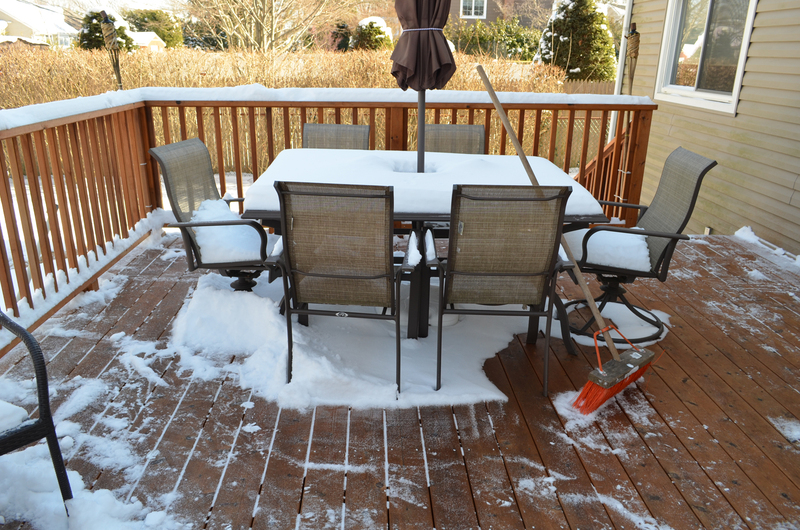 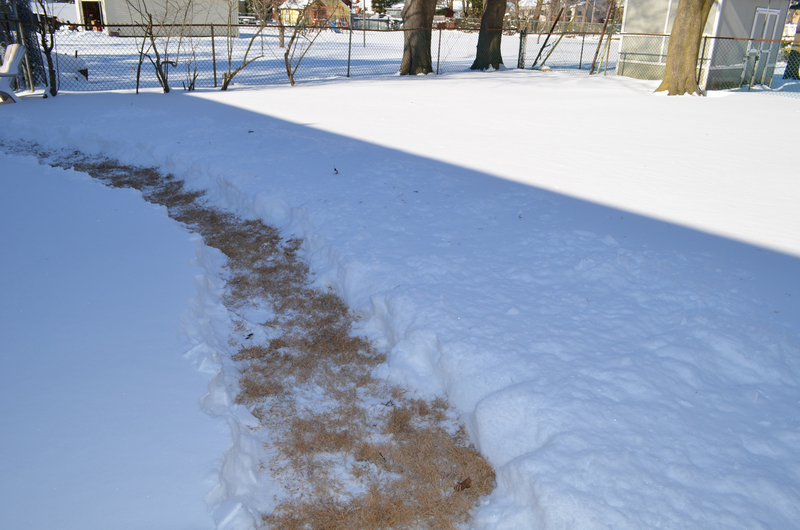 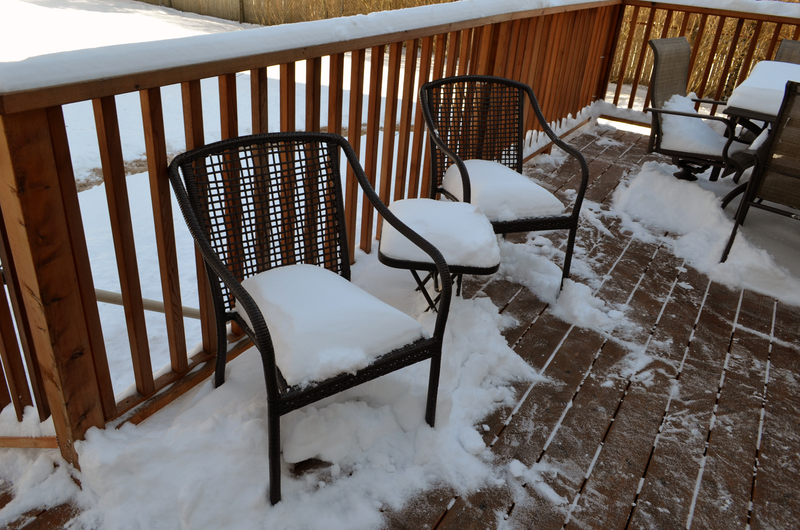 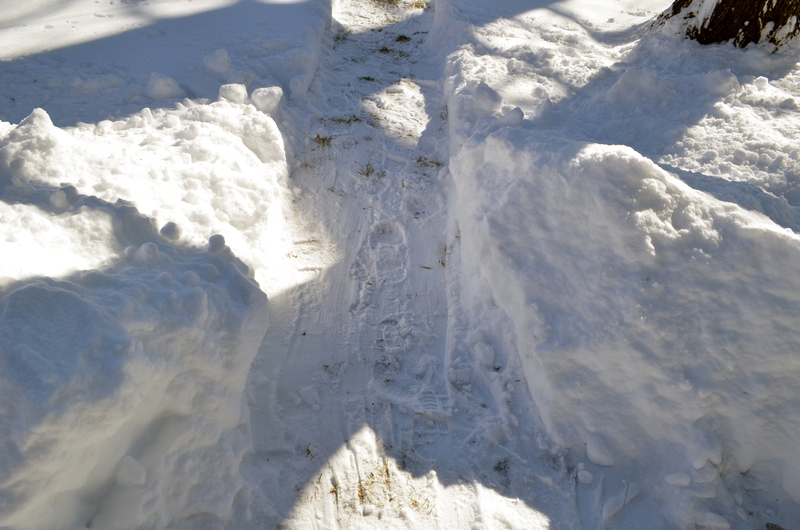 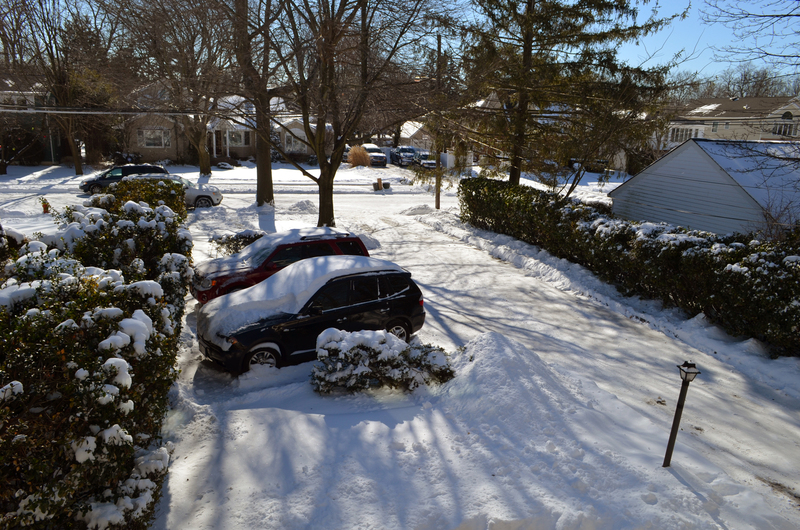 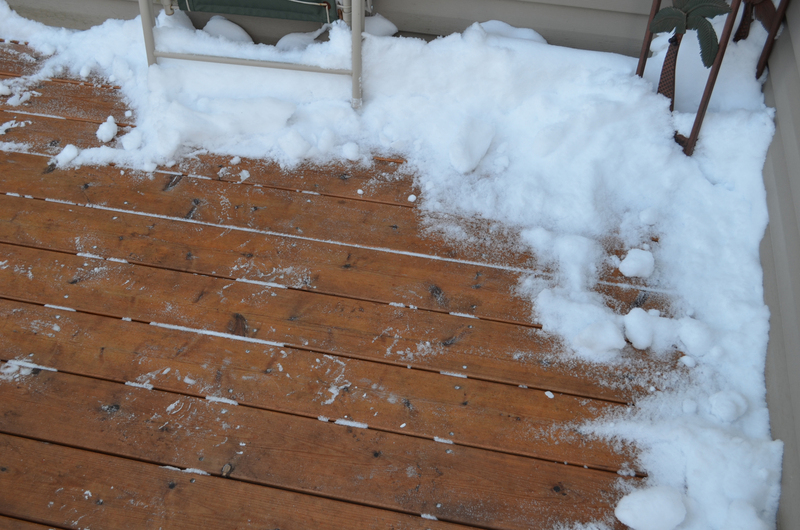 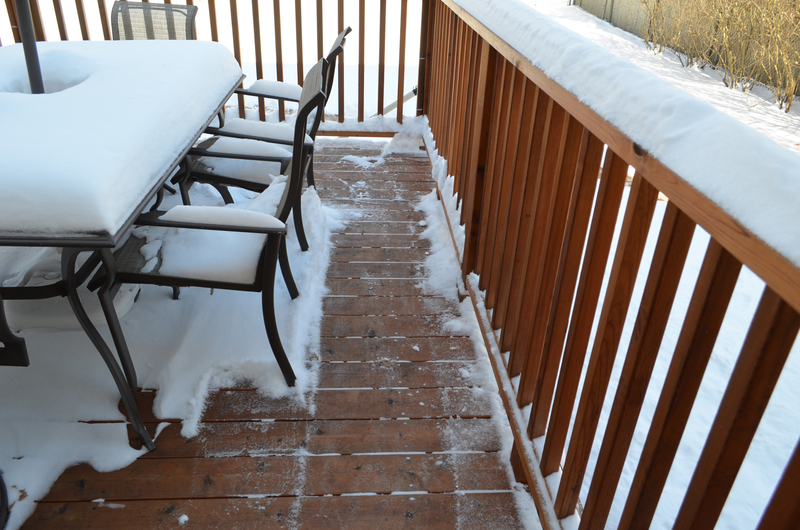 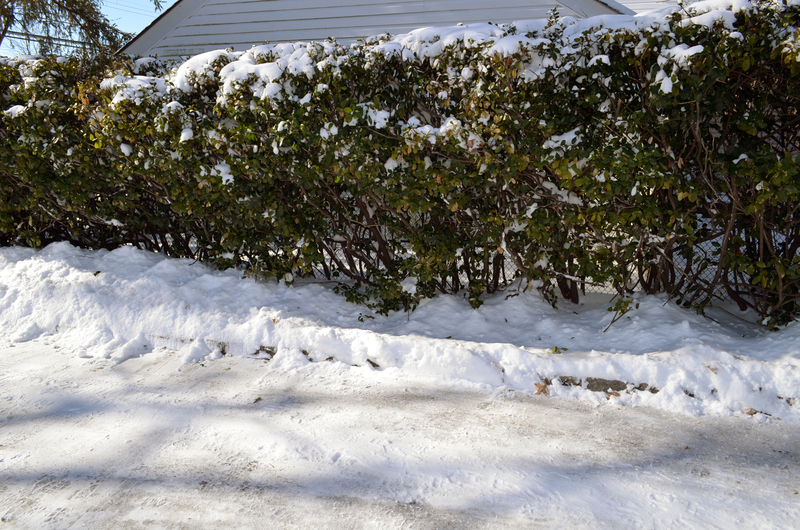 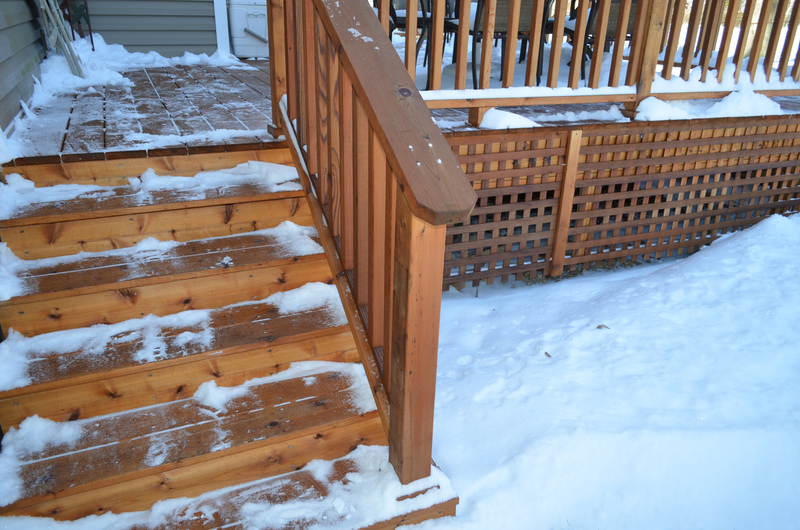 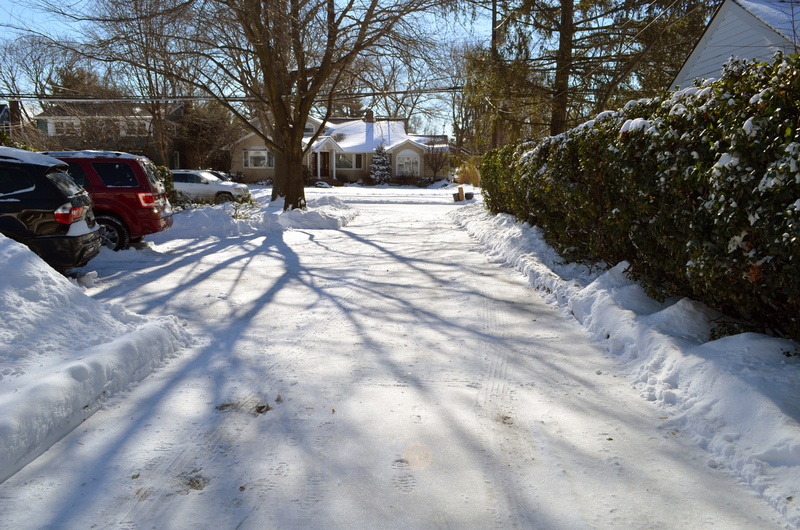 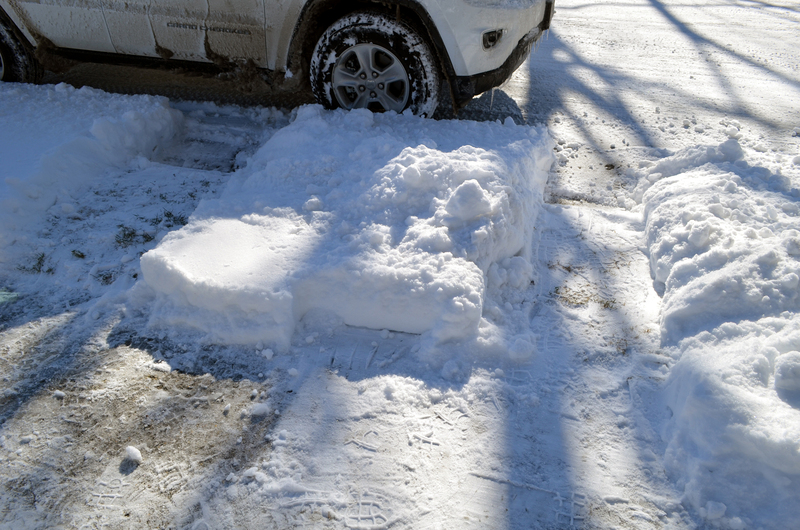 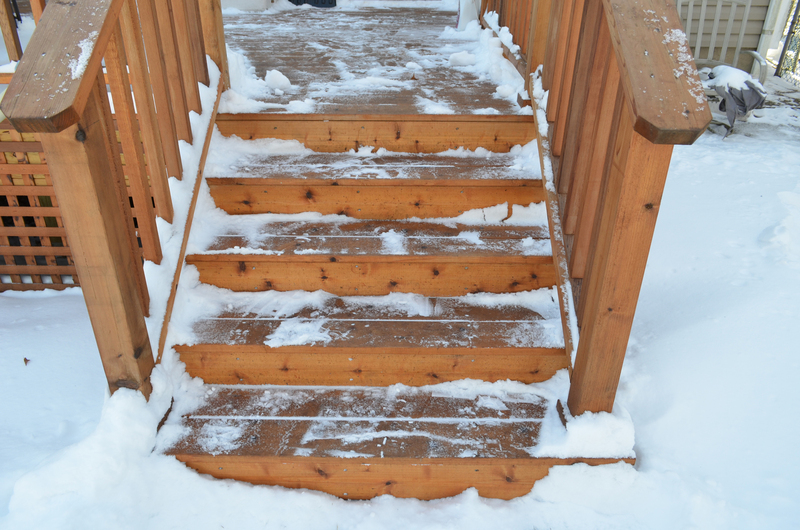 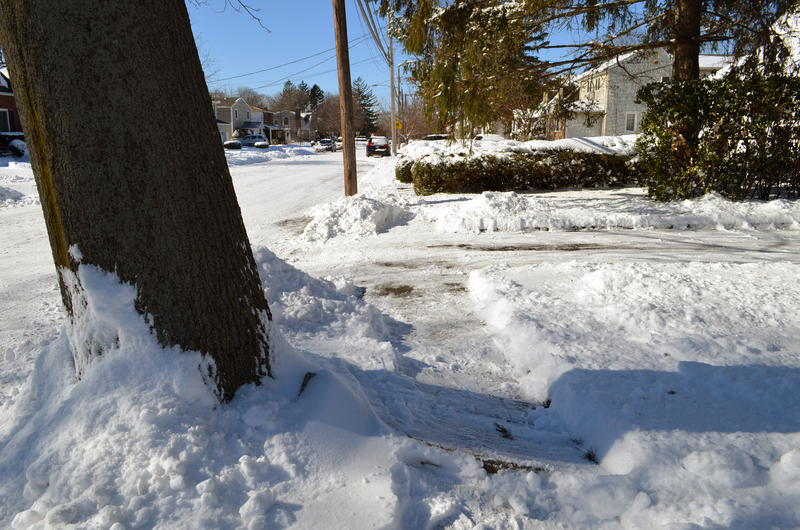 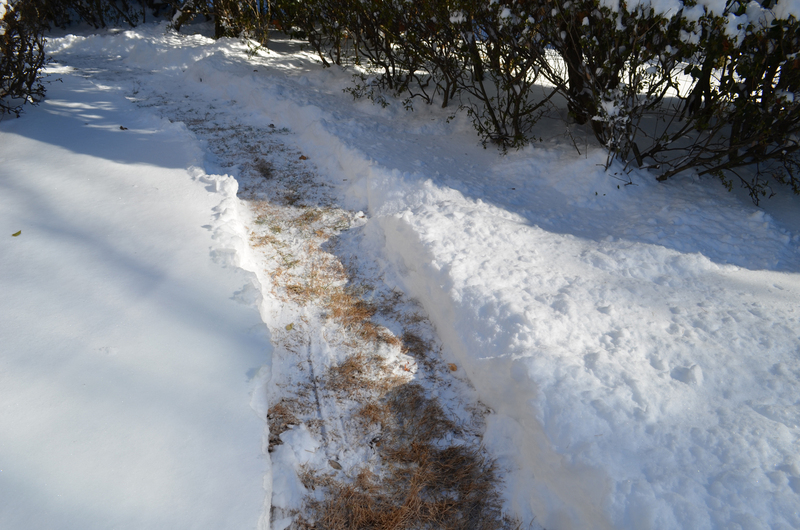 40 minutes later, I felt the need to re-shovel the area I shoveled earlier. 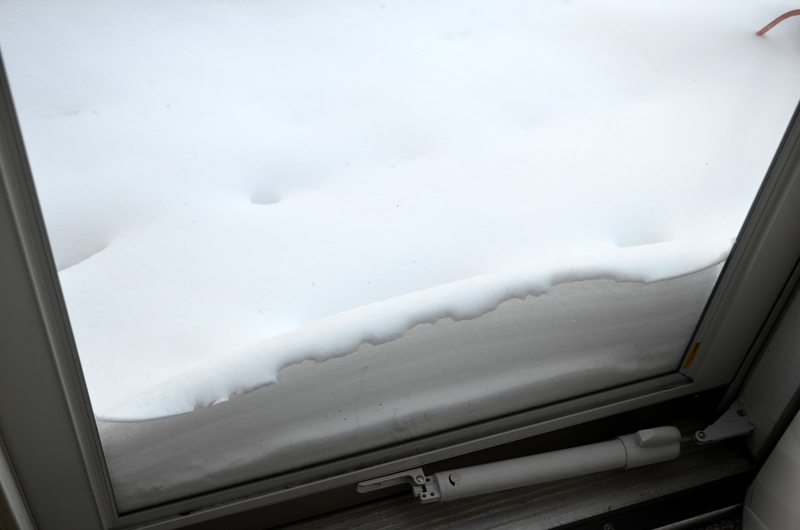 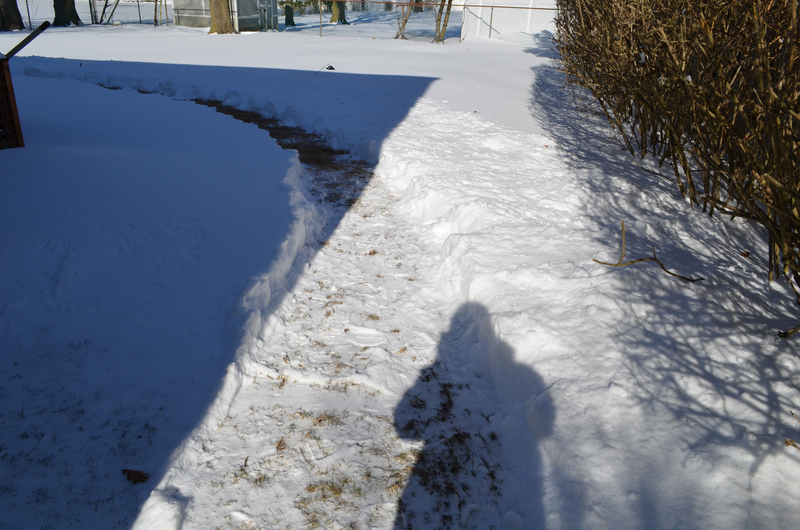 I brought a standard ruler outside with me and stuck it where I hadn’t shoveled. 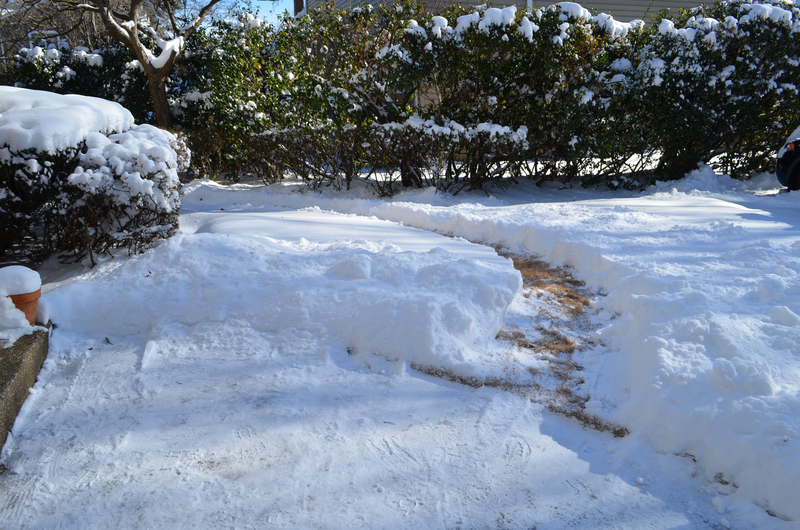 The snow only covered 6 1/2 inches, much less than I was expecting. 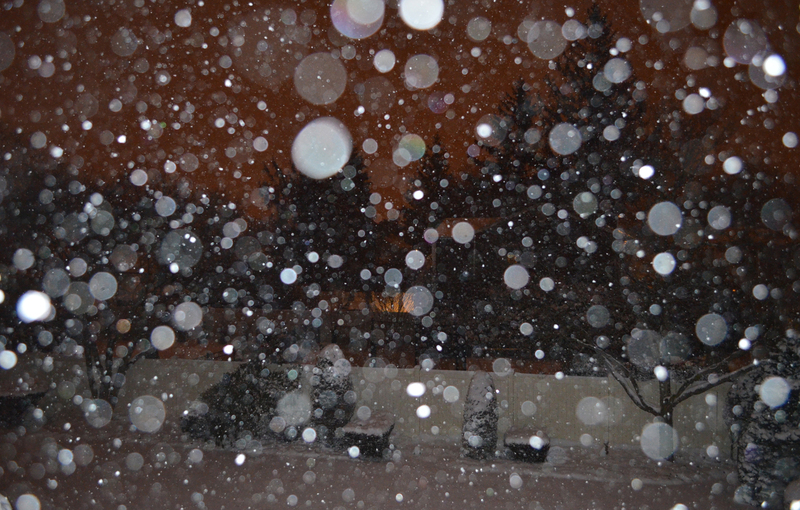 Like earlier, I was only outside for 20 minutes. 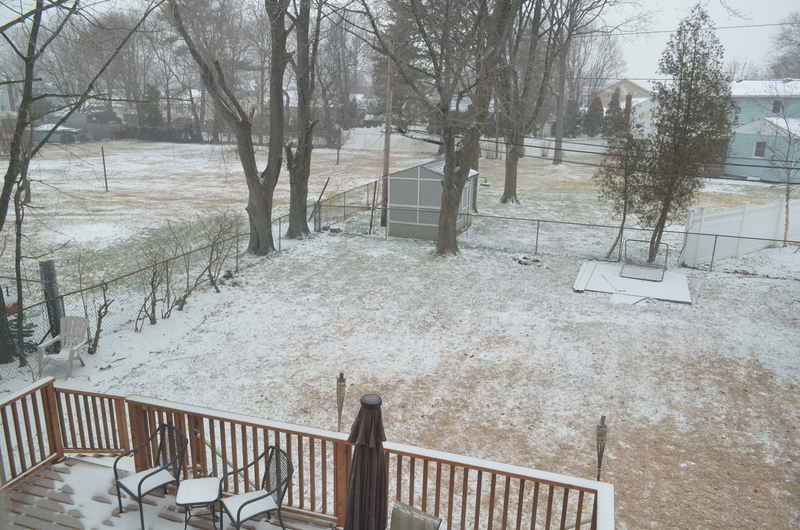 Back at my computer, I checked The Weather Channel desktop app and saw snow dissipating on recent radar echoes. 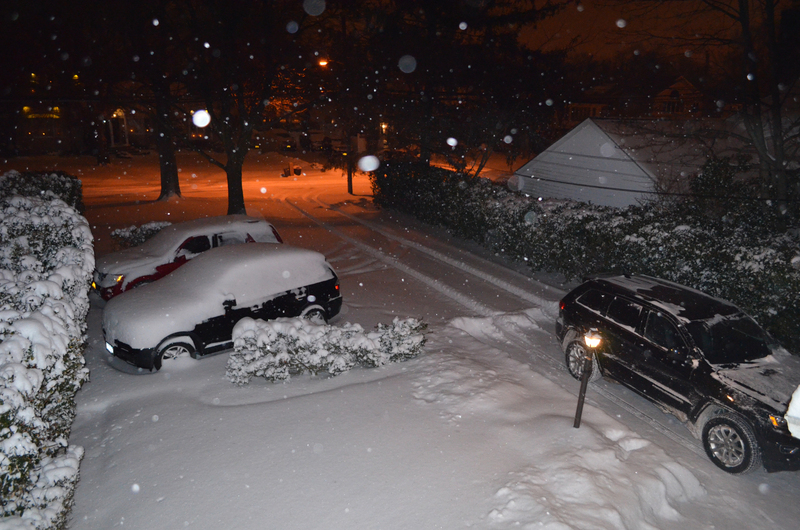 Perhaps, I thought, we wouldn’t be getting much more snow. 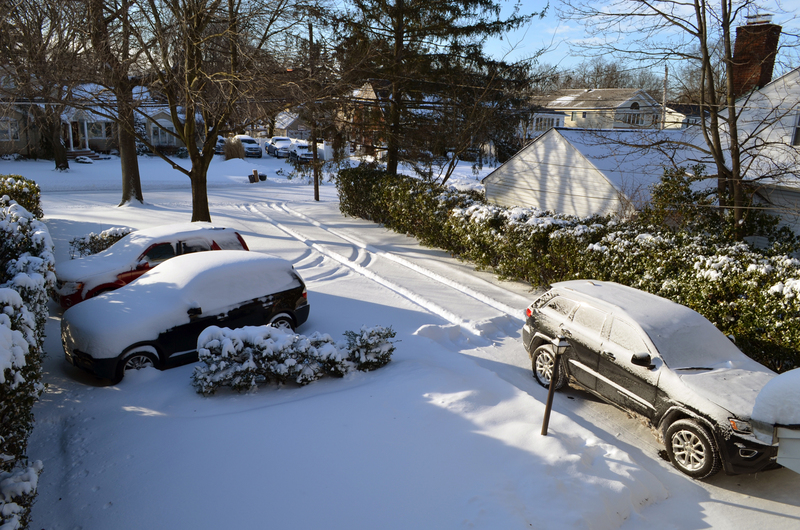 I woke up at 8:30 Wednesday morning as skies were in the process of clearing. 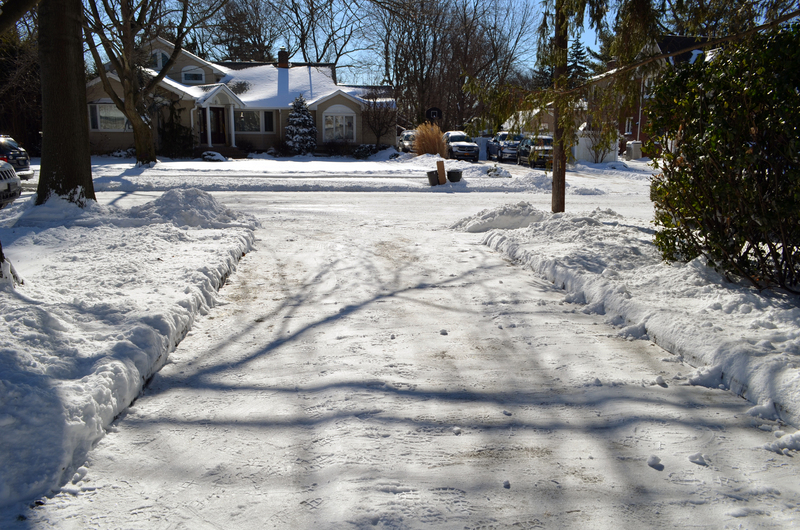 30 minutes later, I got dressed for what I expected to be another three hours of shoveling. 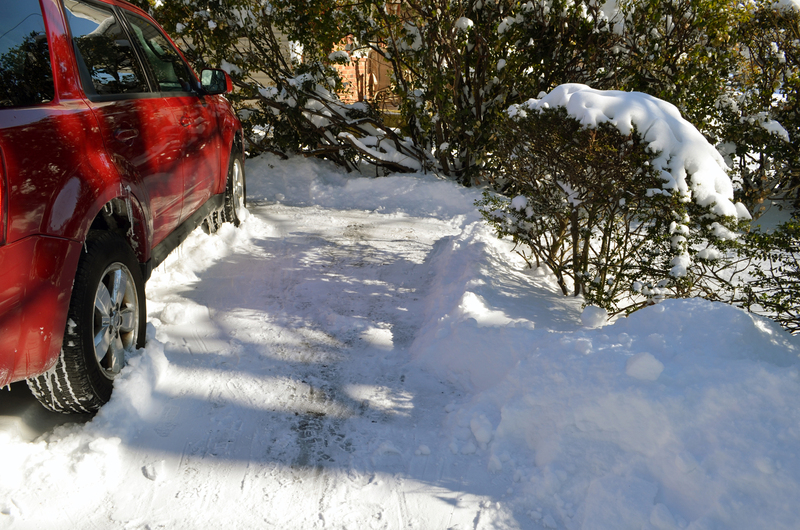 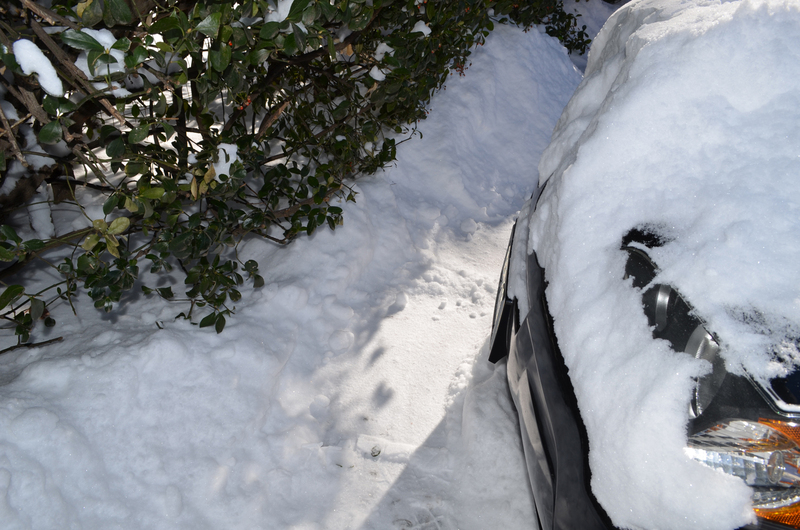 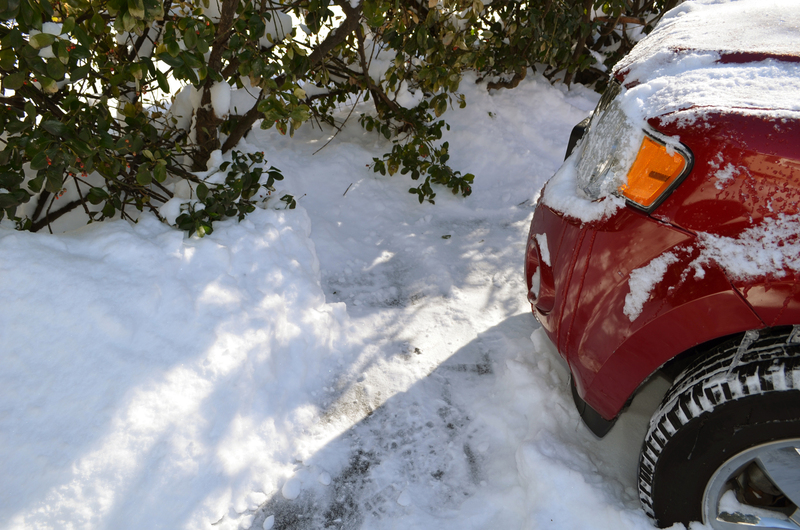 Next, I took a final measurement in the driveway: still 6 1/2 inches. 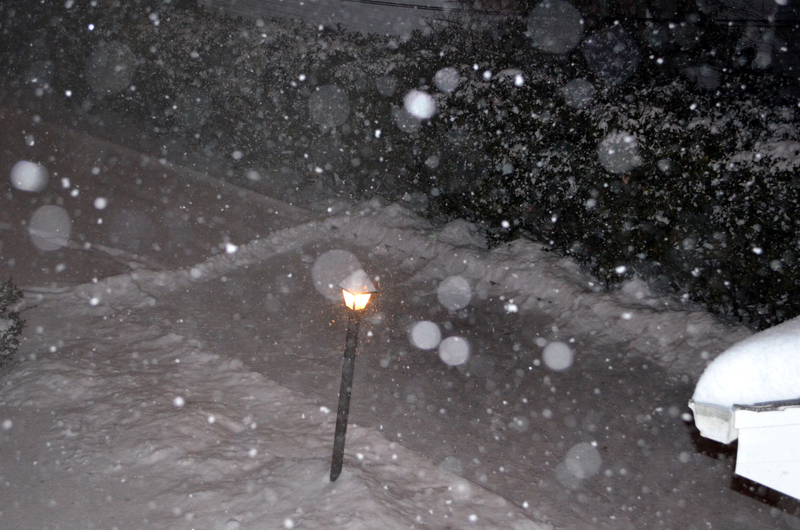 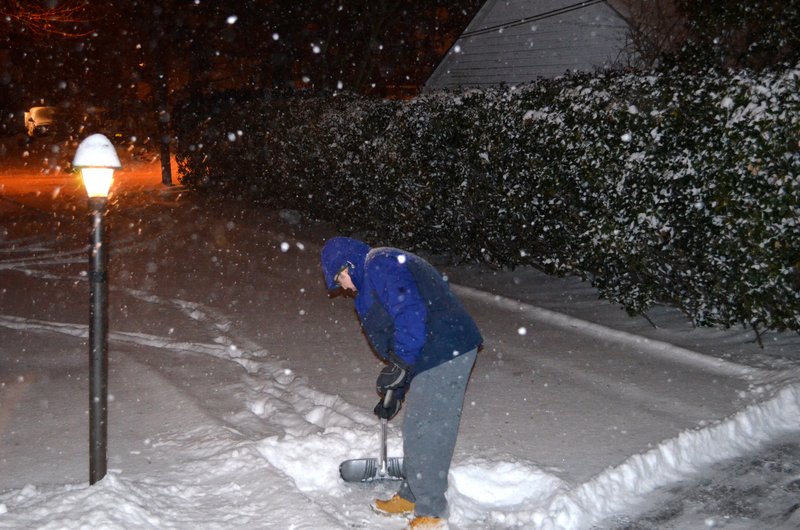 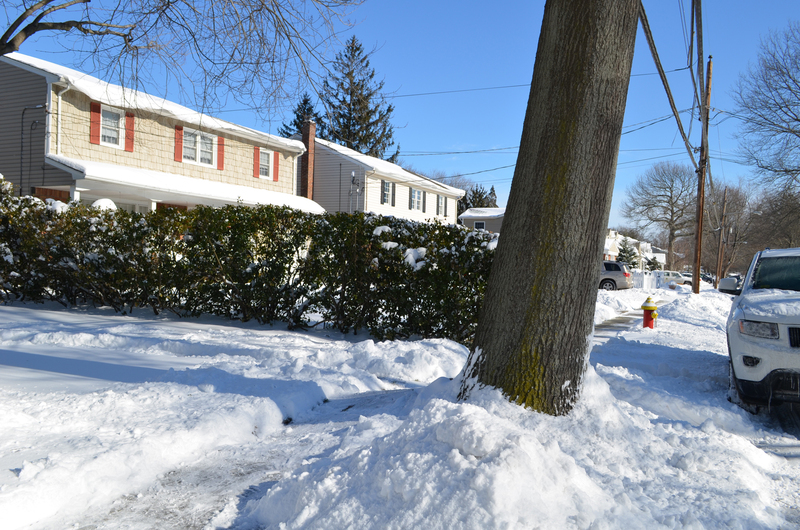 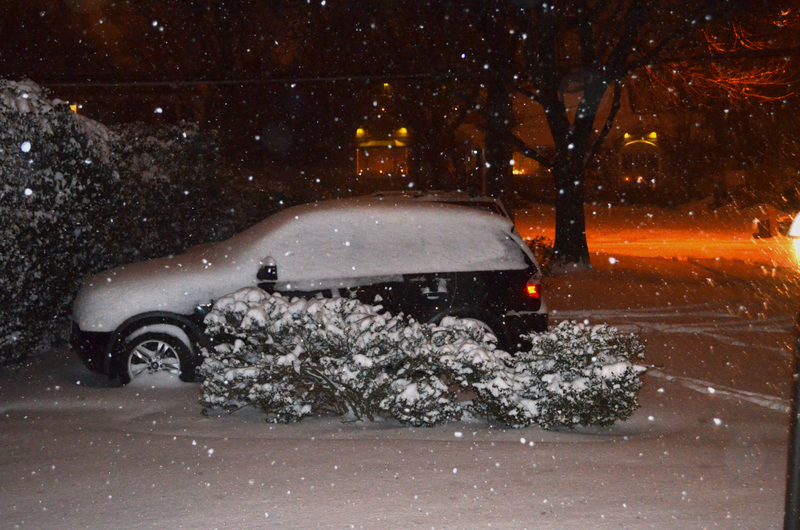 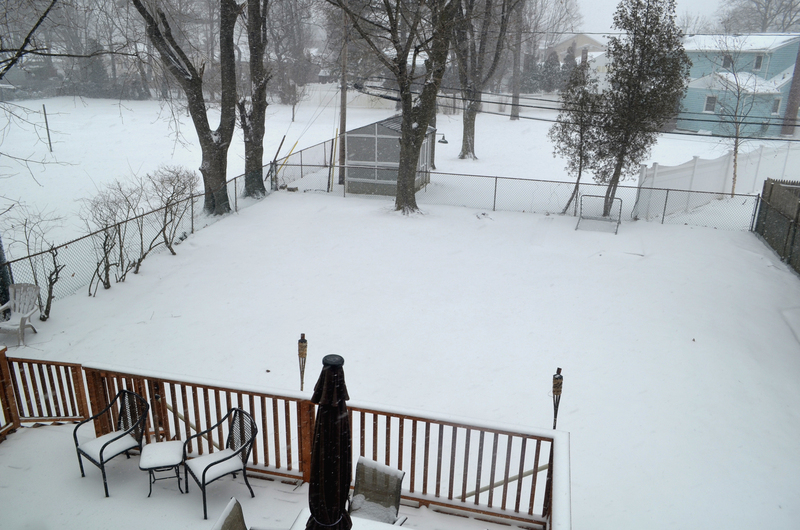 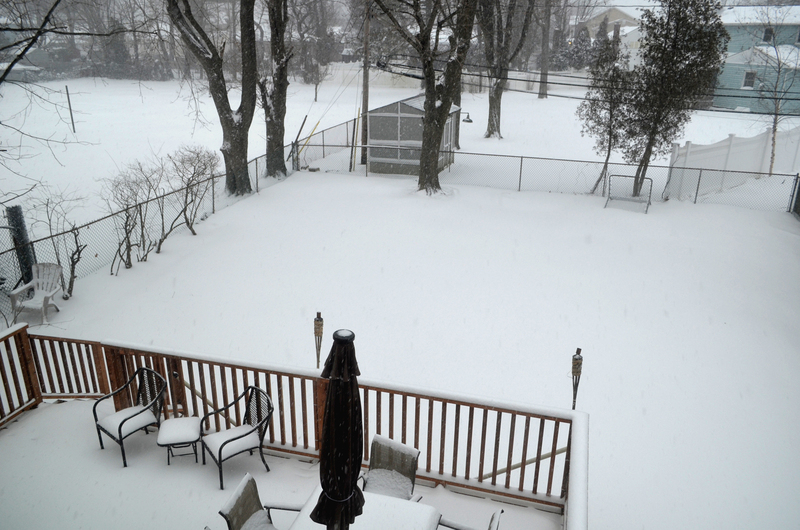 Meanwhile, a trained spotter for the National Weather Service recorded 9.2 inches for Wantagh close to midnight. 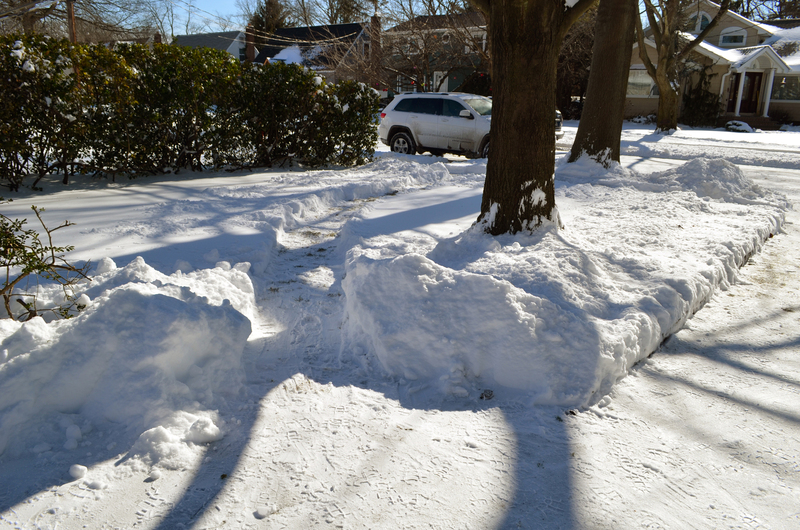 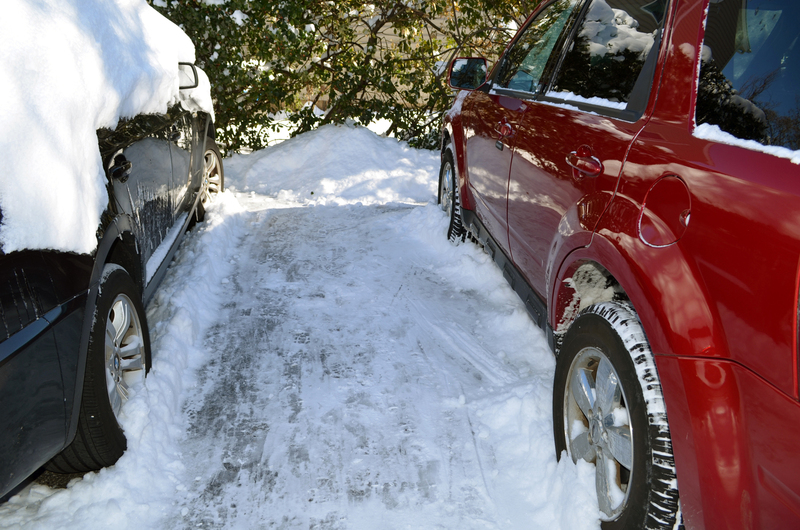 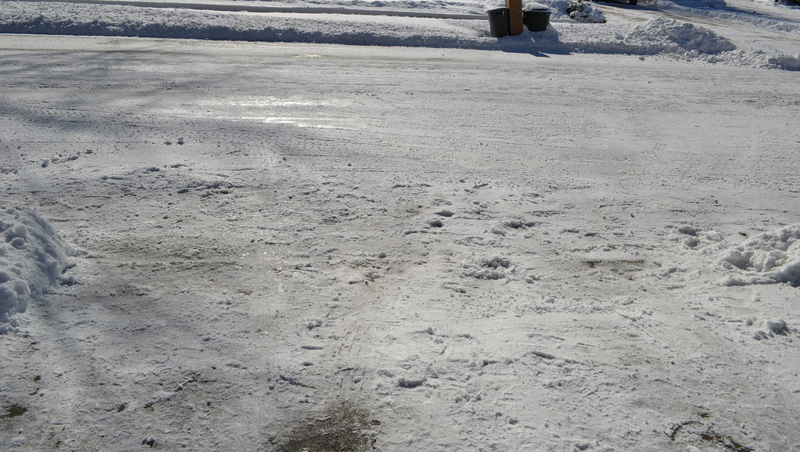 Either there was less snow where I was or there was drifting in my driveway. 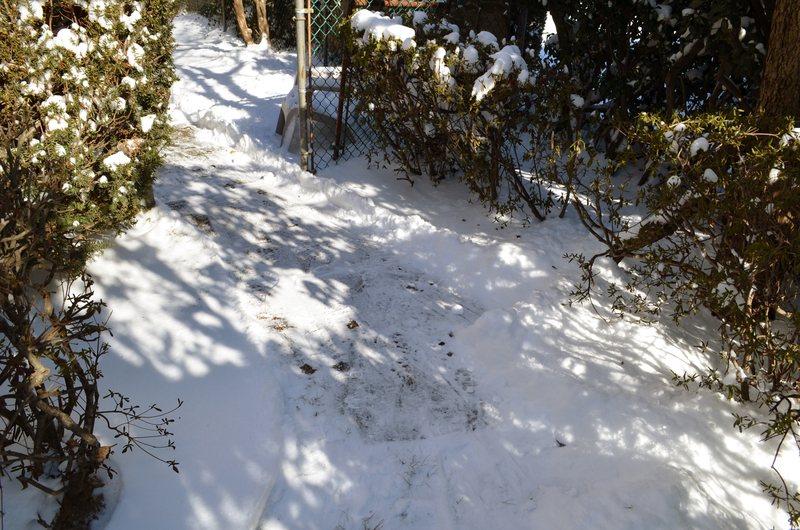 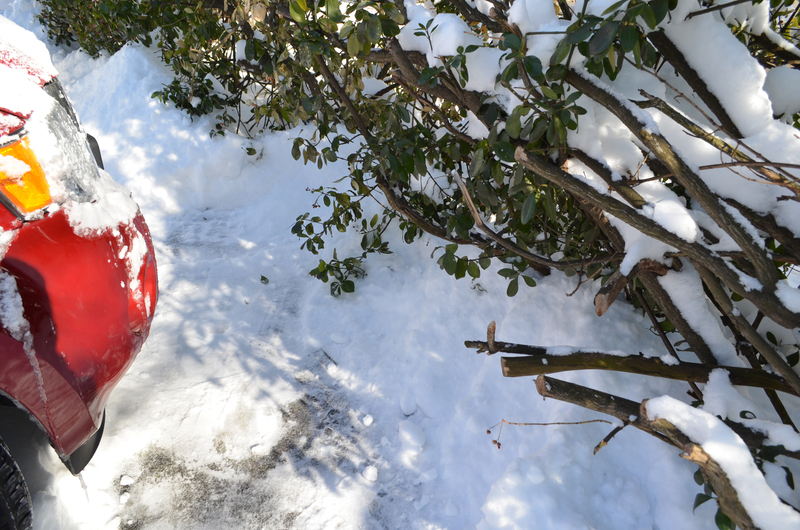 I was finished shoveling in only two hours. 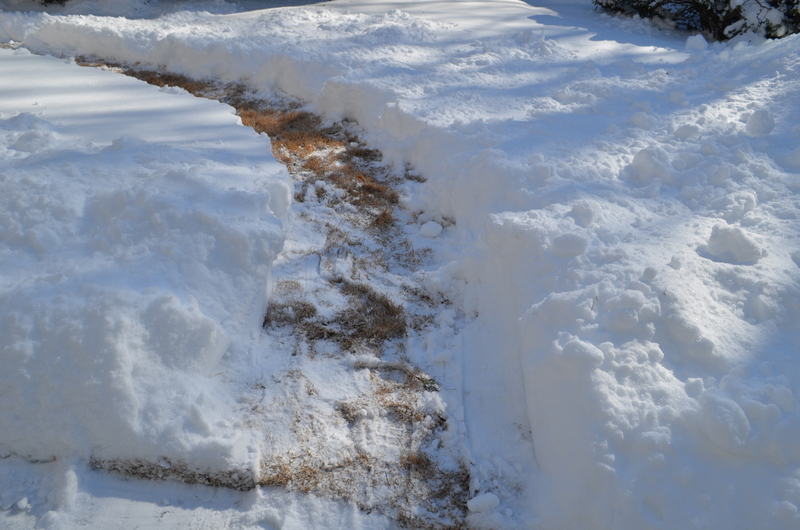 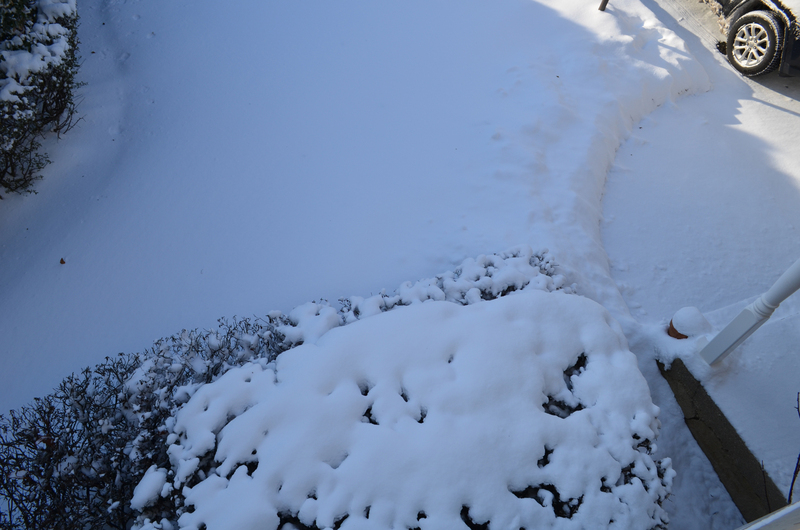 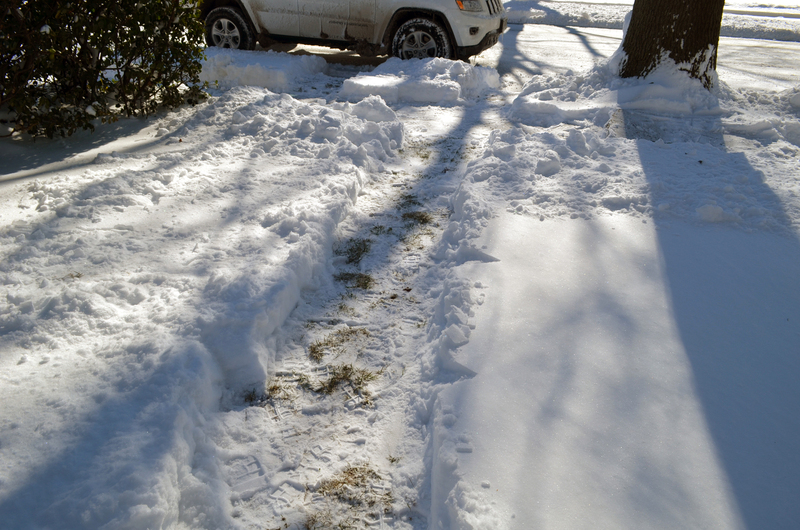 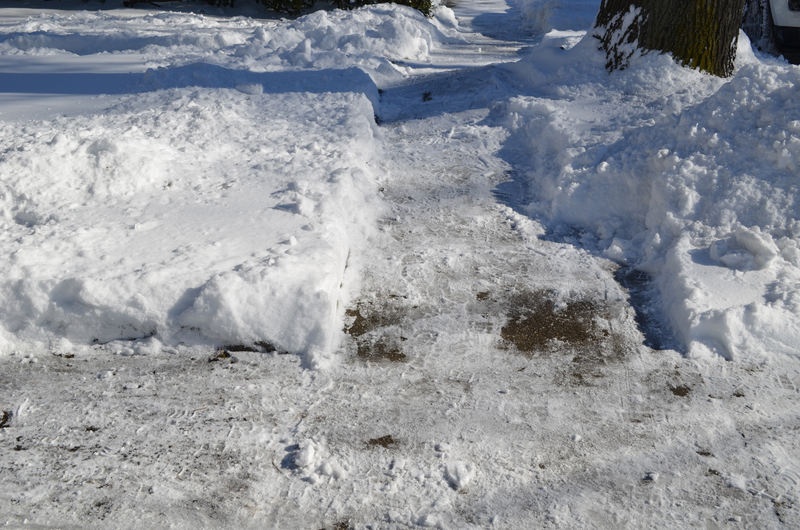 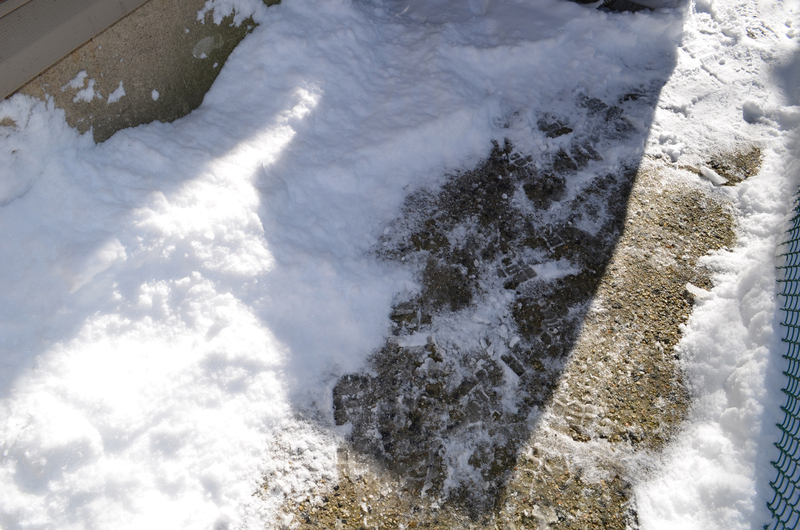 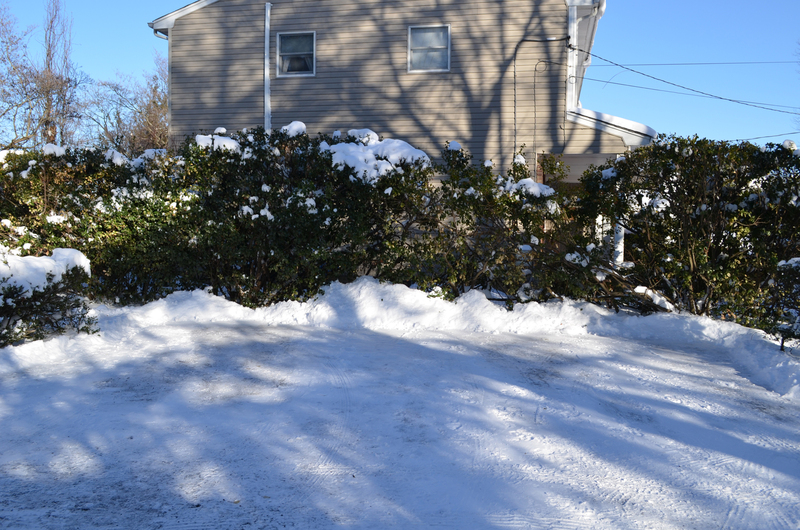 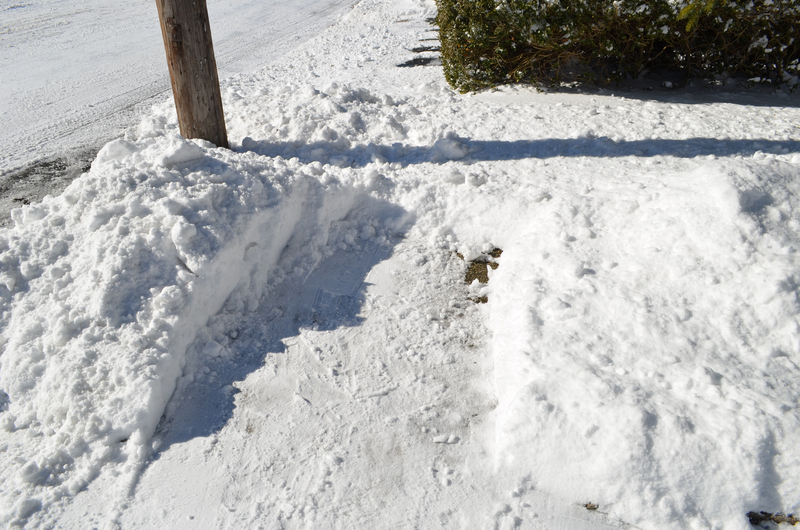 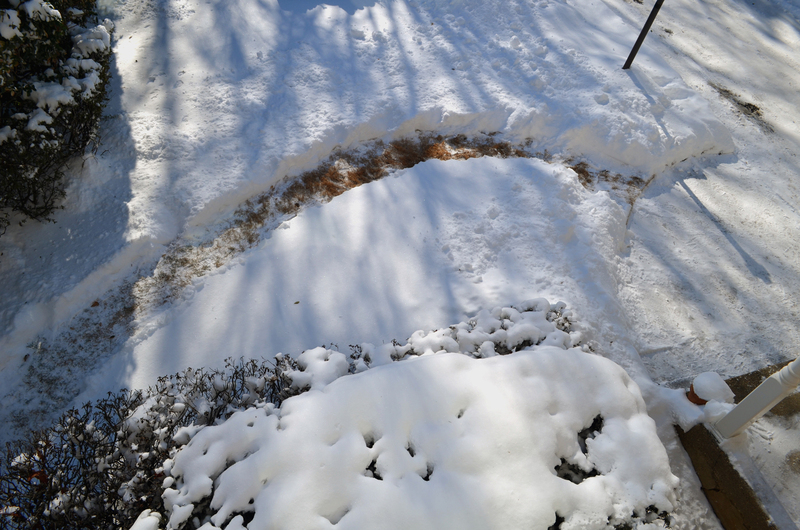 I shoveled the driveway, curb, a path around the house, the sidewalk, and a path from the driveway to the sidewalk. 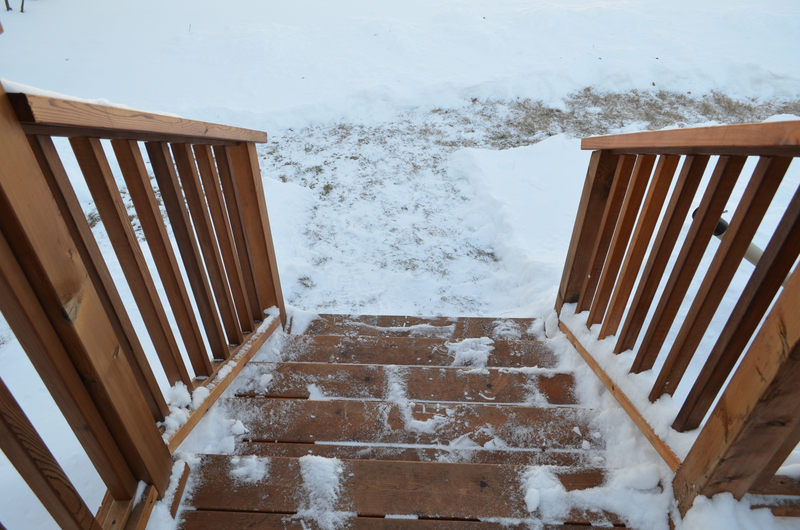 The air temperature barely cracked the teens while I was outside. 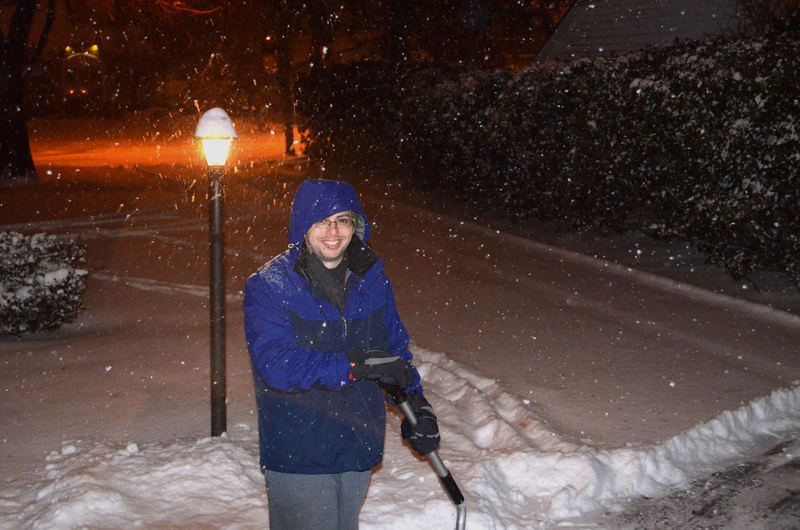 I wore two layers of shirts and pants in addition to the coat, hat, scarf, and gloves. 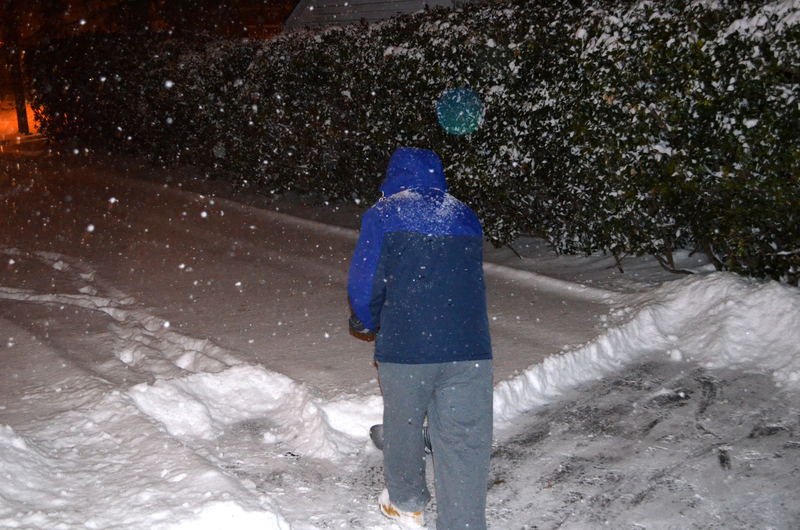 I was back inside within 20 minutes, the same length as my Tuesday night shoveling shifts. 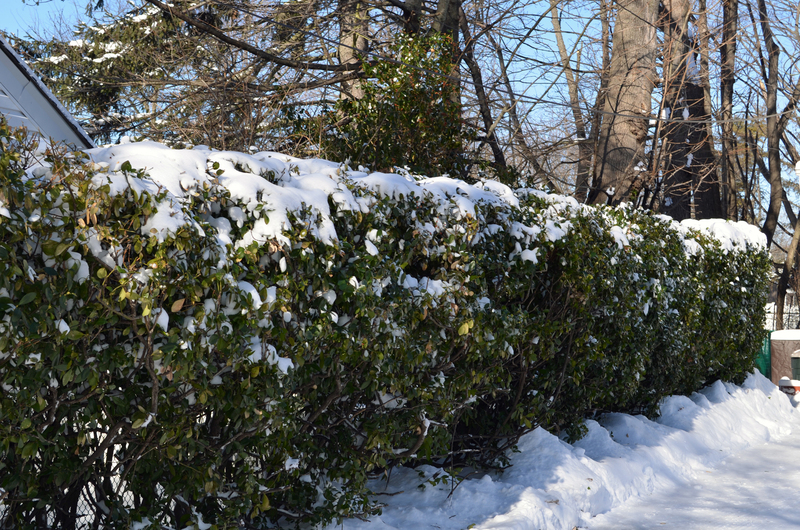 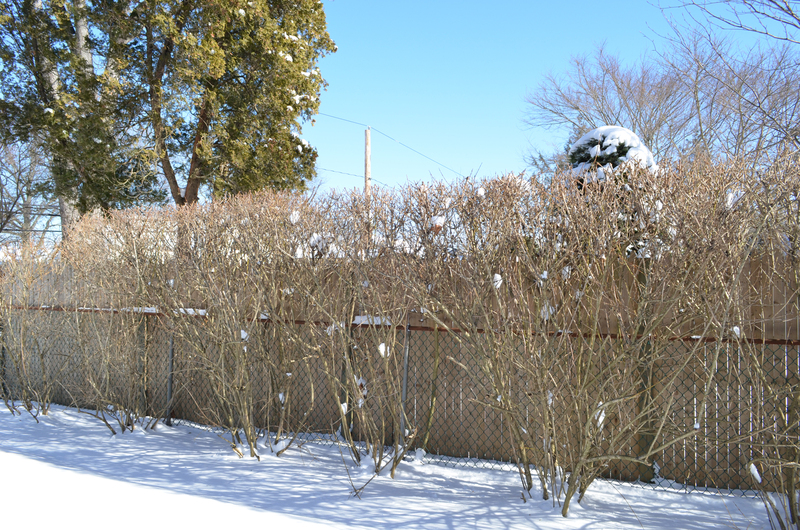 The temperature climbed through the teens on Friday night and reached the low 30s by Saturday afternoon. 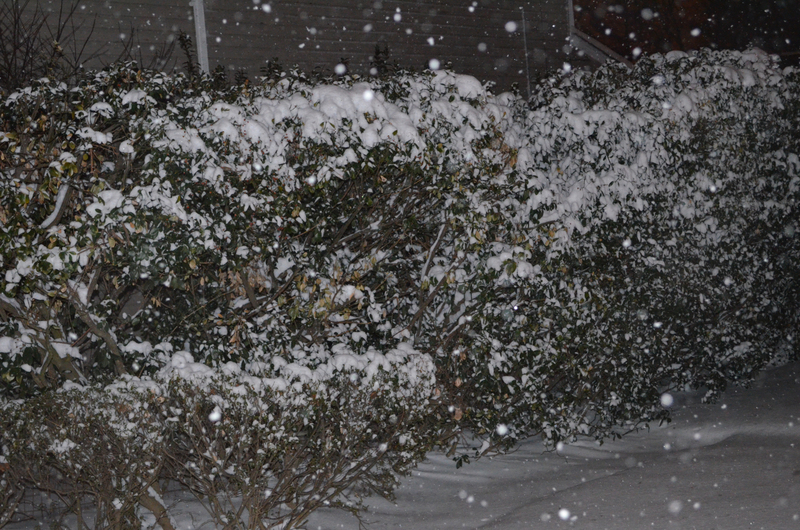 Temps fell back into the 20s as a band of moderate to heavy snow came through. 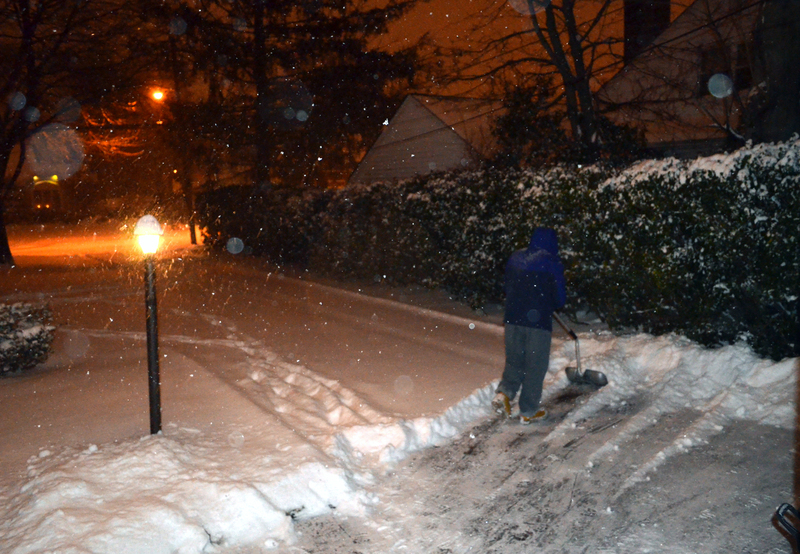 Only an inch fell, but I still had to shovel it, which I did at around 7PM. 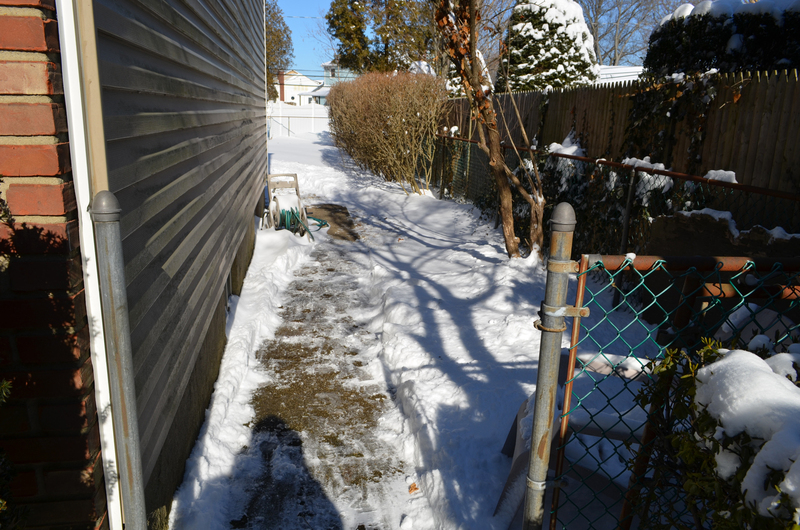 I shoveled all the spots I shoveled on Wednesday and Thursday, retracing the paths I created to the sidewalk and backyard. 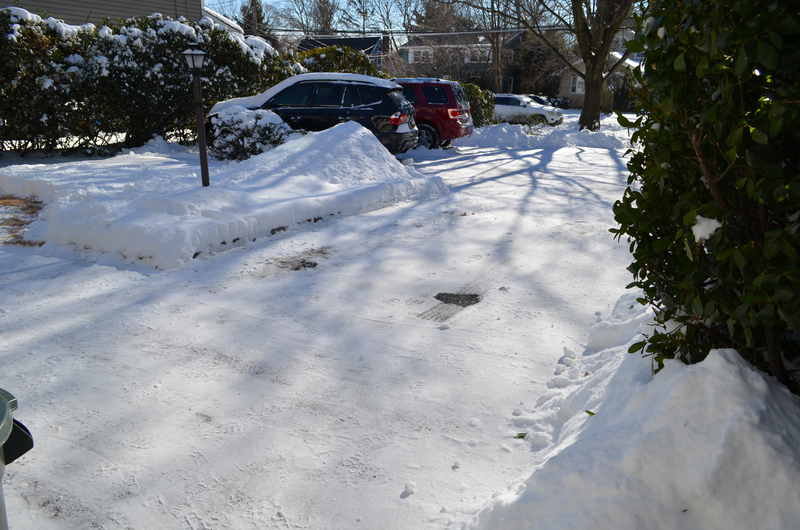 Until the next major storm, thanks for reading. 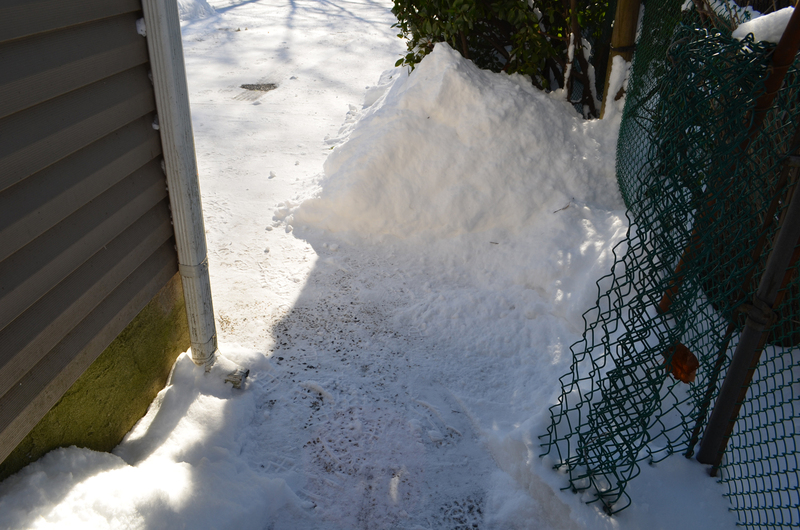 Don’t send ANY of that over here, Mike!